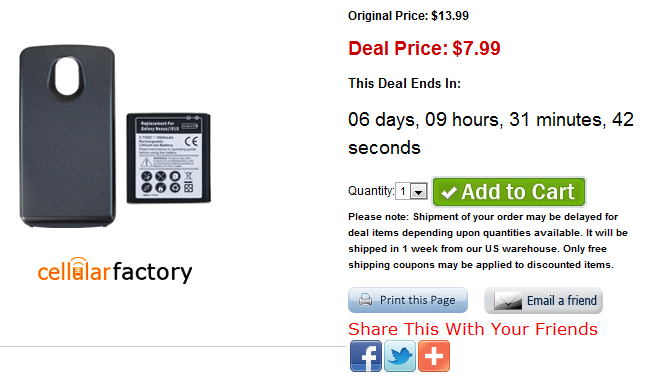 If you need the most battery bang for buck, then you might to hop on this deal. For just $8, you can acquire a 3800mAh extended battery and back plate for the Galaxy Nexus. It may not be the prettiest thing on the Market, but at least your device won’t be dying anytime soon. As a bonus, use the code 1H7RFK for free shipping.